From an aesthetic point of view BigSpinCasino looks good, licensed in Curacao the operator accepts players from the United States and Australia which is great. In terms of its software you can play a decent amount of online casino games powered by Betsoft, VIG, Proprietary, dgs, Nucleus and Concept Gaming. We’re not too familiar with the other software houses but what we do know is that the Betsoft games especially the slots are ‘King of the Hill’ or so to speak. That said, there’s a Live Dealer Casino which we’re very happy to see, we’ll tell you more about it further on in this review. Let’s bounce over to the site’s banking section quick. Not many banking options are listed and understandably so because the US casino market has made it increasingly difficult for operators to process and clear player funds. The good news is we see Bitcoin of which we’re big fans followed by eCheck, credit/debit cards (MasterCard, Visa), Person2Person, Phone and Wire Transfer. The withdrawal turnarounds can be anything from 24 hours (Bitcoin) from 5 to 10 business days depending on the method used, Unfortunately e-wallets (Neteller and Skrill) are not listed we hope to see them added soon. 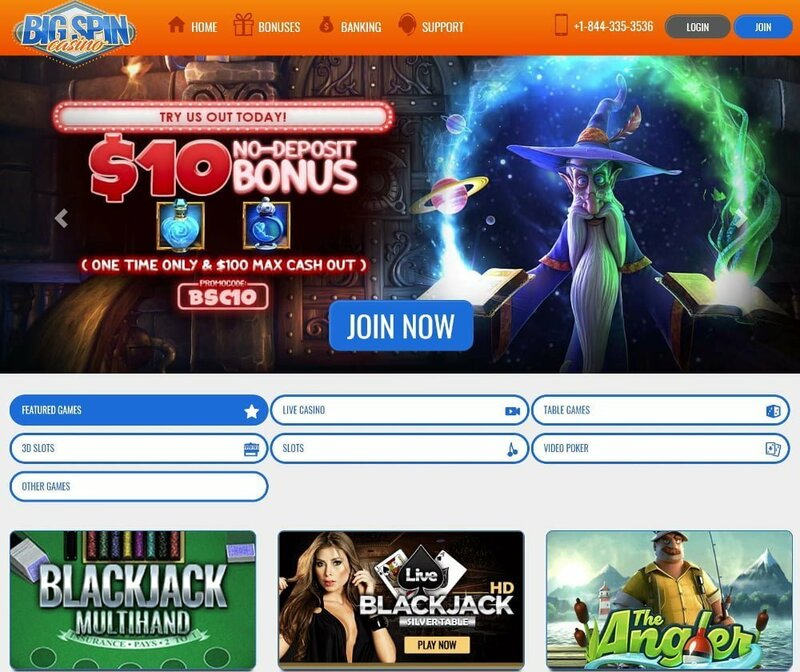 Use the promo code BIGSPIN200 to claim our exclusive 200% $1000 bonus! This is where things really get interesting, when you click or press on the ‘Bonuses’ tab you’ll see that you qualify for a truckload of bonuses! There are bonuses suitable to each and every player’s bankroll, the bonuses are geared mainly to play slots. If you’re into slot machines like we are there’s a 200% sign on bonus up to $1,000 with your name on it. Can you guys explain how the roll over requirement of the deposit bonus works? 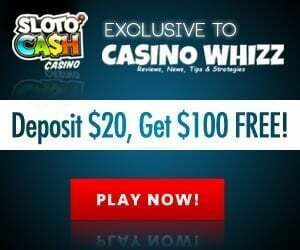 Sure, on a deposit of $200 you’ll receive a bonus of $400 because it’s a match bonus of 200%, instead of just playing with $200 you can now play with $600! Before any bonus funds can be withdrawn you must clear the wagering requirements first: 30x($400+$200)=$18,000. And, only one bonus per household is allowed. Once I’ve used the bonus funds will I receive other bonuses? Yes you will. BigSpinCasino currently offers regulars a reload bonus of of 150% up to $1,500 and then there’s a cracking Reload Weekend Bonus of 400% up to $2,000, terms and conditions apply. Furthermore, there are Blackjack and Slots tournaments held on selected games meaning that loyal players will never get bored! There’s a Refer-a-Friend scheme too, for every friend your refer you’ll receive a bonus of 200% up to $200. The fine print states before you can become eligible for the bonus you must be an active money player and the friend you referred must be a depositing player. Aside from this there’s a score of other goodies awaiting you so make sure you don’t miss out on them. Is there a rewards program for VIPs? Rebates on your previous month’s losses to the tune of 10%. Daily and weekly bonuses including free spins to play the newest 3D slots. The casino will even through a birthday bonus your way. VIP manager on duty 24/7. Regular newsletters to your Inbox laced with all kinds of goodies. Comps earned on the games you’ve played. Here you can play the best instant play casino games (400+) available to American players! Each game is fully compatible with mobile phones, the only problem is the Mobile Casino game library is not as extensive as that of desktop’s. The game menu is divided into a broad range of slots (3D, classics and video slots), blackjack, Live Casino, American and European roulette, baccarat, craps, video poker, bingo, keno, scratch cards. Each game’s visual fidelity is sharp further topped of with vibrant and colorful visual animations. Right here, right now, this is where all the action’s at! You can pick and choose from games that are rich in visuals, that have RTP’s of above 96%, lucrative bonus rounds (free spins), low, medium, high variance and that offer huge jackpots on a single spin. 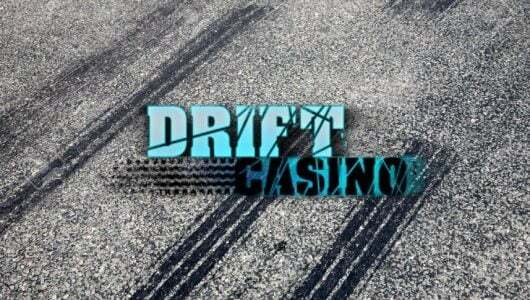 When you play a slot game ensure that its volatility is within the ambit of your bankroll. If you’re a high roller only play medium to high variance online slots. If you’re not sure how to determine the volatility play it with a small bankroll first. Games that offer many dry spins during the base game means that they can be medium or even high variance, plus the size of the game’s jackpot is another good indication – the bigger it is the more volatile the game tends to be. Make no mistake we like our table games the only caveat we have is that you must be an expert of sorts to be a really good at them. Games that grace the menu are blackjack variants, roulette, Ride ‘Em Poker, Three Card Poker, Poker 3 and many more. Let’s say you decide to focus on a game like blackjack, in order to become a good player just must understand the game’s finer nuances; it’s rules, odds and master its strategy. Without trying to sound like a second hand car salesman, BigSpinCasino has a superb list of live dealer games that include variants of Blackjack HD (High Definition), Live American and European Roulette, Live Baccarat, and Live HD 6. We’re not going to tell you how gorgeous the dealers are because they are. With plunging necklines it can be difficult to focus on your cards, word of advice, always watch the dealer’s hands and make sure you make the right call. 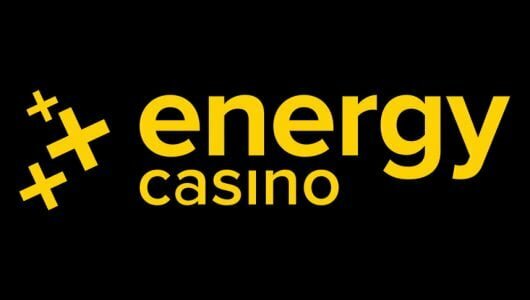 How does the live casino function? A live game is streamed from a live studio via a webcam to your computer. Each live game occurs in real-time and covered by multiple cameras that allows you to zoom in on your cards. The games are interactive; you can talk to the live dealers and if there are fellow players at the table you can even chat to them. Live dealer casino games can only be played with real cash. Apart from slots we totally dig video poker, it’s one of the very few casino games that still gives the ‘smart’ player a decent shot a taking some cash from the house. By smart we mean knowing the rules of video poker: poker hand ranking, your odds of hitting a Royal Flush, Straight Flush, Four of a Kind, Full House, strategy and game rules. You must know which cards to hold and very important, always bet the maximum 5 credits! Which video poker games can I play? 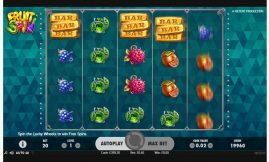 You can play single and multi-hand games like All American, 10′ or Better, Aces and Eights, Jacks or Better, Bonus Poker, Double Bonus Poker, Five Draw Poker and Double Jackpot. Games like bingo, scratch cards and keno and virtual racebook round off the gaming menu. 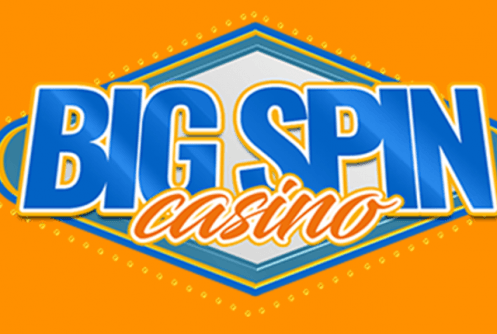 Client care at BigSpinCasino is one of the best we’ve seen and can be contact 24/7 through email ([email protected]), live chat and telephone (+1-884-335-3536). The only thing we question about support is that they require your account’s password to speed up the process, other than that we can’t fault it. There’s a Frequently Asked Questions section that covers account verification, bonuses offered, games that can be played, what to do in case you’ve lost your password, security, RNG of the games and so forth. If you’re a newbie go through it before you deposit. Is my personal details safe? You bet, all client information is protected by a virtual security guard known as Secure Socket Layer (SSL) encryption keys. It’s the same security software used by financial institutions across the world. The random number generator (RNG) ensure that all slots and any other table game are governed by mathematical and scientific algorithms and that each payouts is completely random. 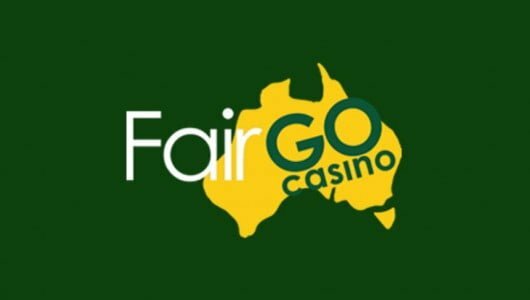 To get your cash in and out the casino you can use either Bitcoin, Wire, Bank Transfer, credit cards (Visa, MasterCard), e-checks, person2person or ACH. Depending on the withdrawal method you use all withdrawals are cleared within 24 hours (Bitcoin) from 5 to 10 working days. Players who request a withdrawal for the first time must provide a copy of the following documents: Passport, driver’s license or ID card, utility bill (water and electricity) and a bank statement not older than 3 months. Currencies accepted are U.S Dollars, Australian Dollars (AUD), Bitcoin and Litecoin. Bank fees are charged based on the banking method you’ve used while Bitcoin has no transaction fees. The minimum withdrawal is $10, manual flushing is not allowed.